I love to read. It’s the most relaxing way I can think to while away a few hours. So it stands to reason that I would do a lot of reading while camping, right? So true... So very true. To the point that I’ll just sit in my PJs all day with a cup of coffee and a good book, and never leave the campsite. I typically read on my Kindle app on my iPhone. It’s the most convenient way, because the phone is always in my pocket. When I feel like seeing more words on a page at one time, I use my Kindle Fire instead. And if I ever get caught up on my want-to-read e-list, I have a couple grocery bags of books donated from friends that I can dig in to. Really, that’s what I should read when I camp because then – you know – no electronics! I really enjoy mysteries, or who-done-its. Every time a new book comes out from a series I’m into, I download it right away and can’t wait to get started! My favorites include the Big Lake series by Nick Russell, and the Frannie Shoemaker series by Karen Nortman. 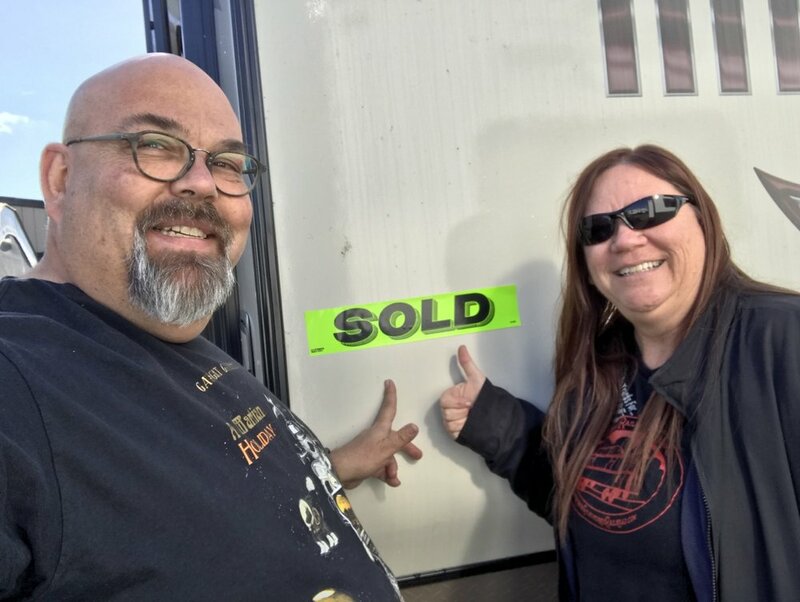 I have other favorites, but the reason I mention these two specifically is that I learned of their books through camping groups – Nick was a frequent guest on the Living the RV Dream podcast, and Karen is a Sister on the Fly! 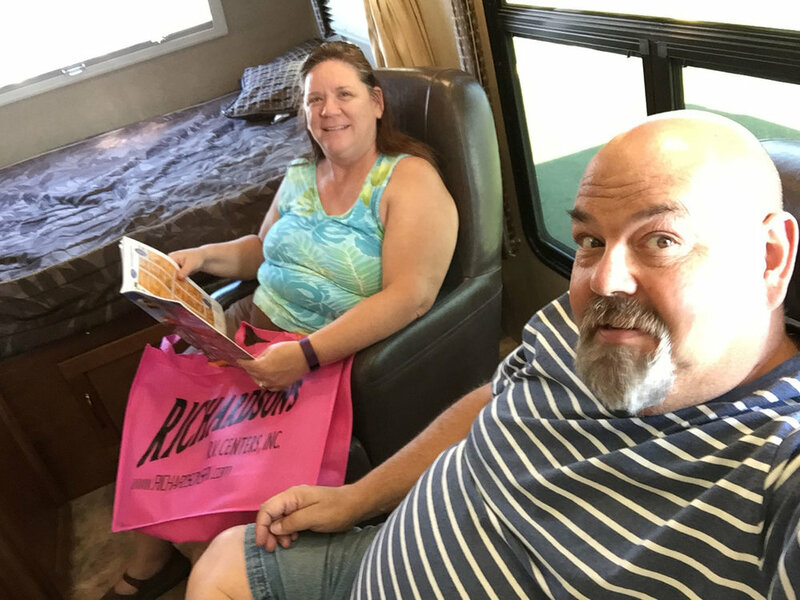 Nick Russell was a full-time RVer with his wife, Terry, for over 15 years. Nick has written guides to making and saving money on the road, as well as guide books about various parts of this beautiful country of ours plus Victoria, British Columbia. And he’s also got a couple of fiction series that I read as soon as I see them pop up in my Kindle app. There are two mystery series – Big Lake starring Sheriff Jimmy Weber and John Lee Quarrels about a cop in Florida. In addition to solving mysteries, each series has wonderful (and some delightfully not-so-wonderful) characters that draw me in and make me want to learn more about them. And in addition to the criminal mysteries, sometimes fun character mysteries pop up (hint: wait ‘til you meet Kallie Jo)! Karen Nortman is a Sister on the Fly. So, when she writes about camping adventures, you know she speaks from experience. In the Frannie Shoemaker series, Frannie is always camping with her family and friends in her adventures. Their camping destinations are based on real places Karen has been, so she is able to paint a picture that feels real. I love that the books provide a mystery as well as camping tips and recipes! Oh, and for those who like a little bit of the supernatural in their fantasy world, Karen also offers the Time Travel Trailer series, starring a vintage travel trailer that takes campers on more adventures than they expected! What more could a girl in her jammies ask for?